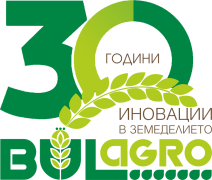 In the period 23th -25th March 2019, the entire team of Bulagro Group Holding gathered to celebrate the 30th anniversary of company's existence at a joyous celebration in Istanbul, Turkey. On a ship-restaurant, sailing on Bosphorous, Bulagro Executive Mr. Hristofor Bunardziev told his exciting story about how to create such a large agribusiness in Bulgaria and expressed his gratitude to the team who contributed to this intense growth in these 30 years. On the festive dinner a special drink was served - French red wine just at the age of Bulagro - 30 years old. Of course, the birthday did not go without cutting a cake and playing company's anthem. The highlight in the program was the local dance ensemble, performing traditional Turkish dances, as well as professional belly dancers, who contributed to the even better mood of the team. The rich cultural program included the main sights of Istanbul. The traditional general picture of Bulagro's team this time was made next to the remarkable Iron church, St. Stefan, built by the Bulgarian community in the megapolis. The team also visited the notalble Topkapi Palace, Hagia Sophia and had a nice walk on the famous Istiklal Street. We thank to Mr. Bunardzhiev for this exciting journey, to the whole team for the pleasant time spent together and we wish a smooth way forward and upwards!